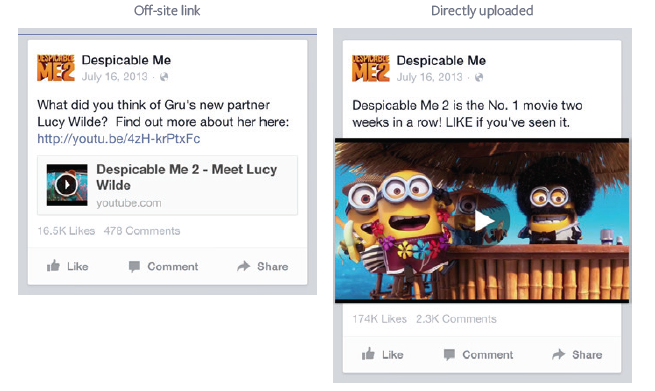 Home » advertising » media » social media » Why you should directly upload videos to Facebook. Why you should directly upload videos to Facebook. Facebook is encouraging direct video uploads onto brand pages, because according to them "video consumption on Facebook is growing rapidly and Facebook's news fees gives you the opportunity to place your brand at the center of daily discovery. Uploading your video directly to Facebook can increase the performance of your video campaign."